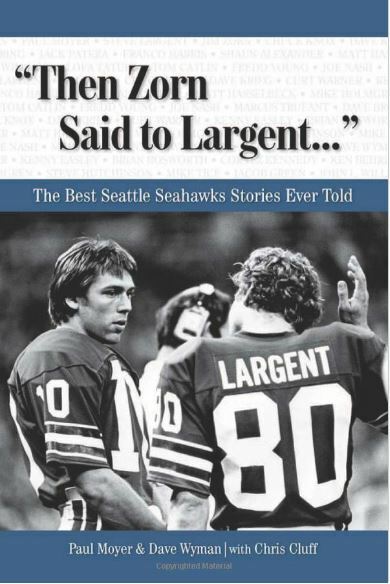 Seahawks win at San Francisco? Carroll’s trips to his hometown. But a lot of things seem to be going their way for their first game at Levi’s Stadium in Santa Clara. 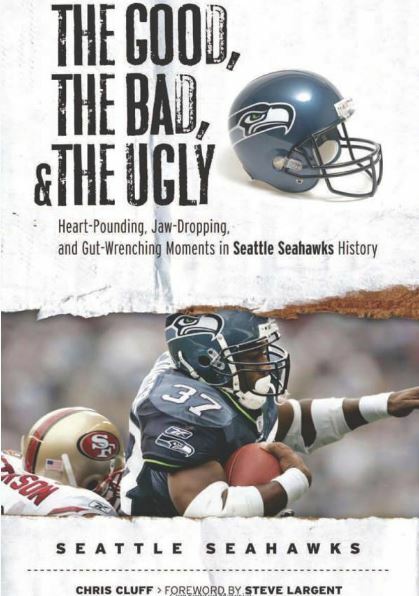 1 — This has been a home-dominated series between Carroll’s Hawks and Jim Harbaugh’s 49ers, but the Hawks have gotten closer and closer to winning in the Bay Area. They lost by 19 in 2010 and 16 in 2011, and with Russell Wilson they have lost by seven and two. Extrapolate that improvement out and the Hawks seem set for a three-point win this time. 2 — The Seahawks are 11-1 in prime time under Carroll — a major reason they were shorted on night games this season despite winning the Super Bowl. Granted, the loss was in San Francisco on a Thursday night in 2012, but the Hawks have won seven straight night games, averaging 31 points. 3 — The 49ers have been struggling recently. They were blown out 42-17 by Denver in Week 7, then returned from their bye to lose to St. Louis 13-10 at home. They won in overtime in New Orleans but then struggled to beat the New York Giants 16-10 and had to score a late touchdown to beat Washington 17-13 last Sunday. 4 — Colin Kaepernick is just 1-3 vs. the Seahawks, including the NFC title game last season. He has completed just 50.4 percent of his passes, with seven interceptions and just three touchdowns. The key for the Seahawks is stopping him on the ground. He ran for 130 yards on 11 carries in the NFC title game, including a 58-yarder, which is why the Niners led most of the way. But he has never shown he can beat the Hawks with his arm — his interception in the end zone to end the NFC title game standing as the worst failure yet. 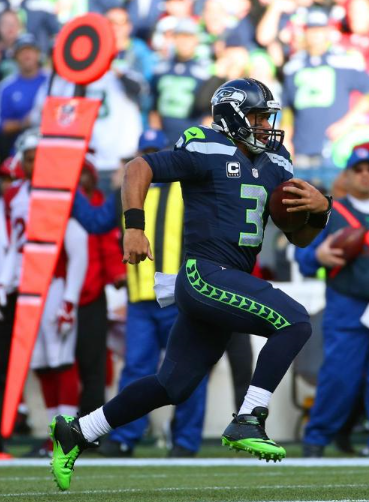 5 — Wilson has played a lot like Kaepernick this year, using his legs as much as his arm. Wilson has run for 644 yards, averaging 7.7 per dash. He has just 40 fewer yards than 49ers running back Frank Gore. The Niners have the league’s No. 7 run defense, but the Hawks — with Wilson and Marshawn Lynch — are the league’s No. 1 running team. If the Niners can’t contain Wilson and Lynch, the Hawks could blow them out. 6 — The 49ers, known for their running game in past years, have not been as consistent in that area this season. They rank 10th in the league with 119 yards per game and are just 19th in yards per carry (4.0). 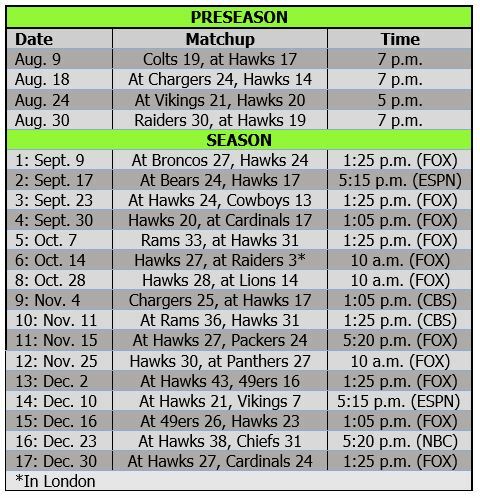 The Niners beat the Hawks 19-17 last season because they busted off one big run — a 51-yarder by Gore late in the game. The Seattle defense is largely healthy again, with Kam Chancellor, Bobby Wagner and Byron Maxwell all back and playing well. If the Hawks prevent the big run, they should finally win one in the Bay. Season obituaries will be drafted for the loser of this game, the New York Times says. More on Kaepernick’s aerial struggles vs. the Seahawks. Richard Sherman is a big reason Kaepernick has struggled, holding the QB to a 21.3 passer rating whenever he throws to Michael Crabtree or Anquan Boldin. The Seahawks have played just three other times on Thanksgiving, all against Dallas. A look at the game by the numbers.